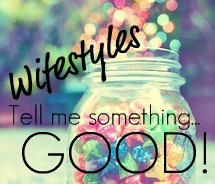 Wifestyles Blog & Photography: Tell me something GOOD! Meet AmyCakes! Tell me something GOOD! Meet AmyCakes! Meet my REAL life friend Amy! Not only is Amy sweet, kind and beautiful she can also BAKE! In fact she made my beautiful cake! Hi there! I'm Amy and I am SO excited to be doing a guest post for the lovely Lauren! I have followed Lauren's blog for a LONG time now... and we actually know each other in real life! My boyfriend and her had a college class together a long time ago, and when she was looking for a wedding cake he told her about my business... so I ended up having the pleasure of making her cake! It's one of my favorite cakes that I have done to this day! 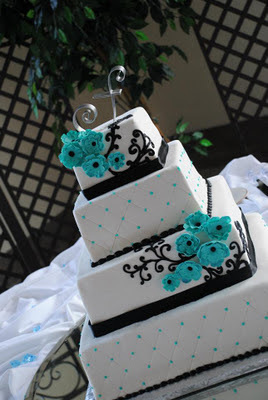 I just started blogging over at love AmyCakes, and so far I love it! I don't feel too new to the blogging world because I have always read blogs, but it's definitely different being the one writing what people read! Over at my blog I share a little bit about my life, my business, and everything else, with anyone who cares enough to read! Once again, I'm Amy (incase you forgot, or didn't catch it)! I'm a 20 year old with the best family, boyfriend, friends, and job! It's safe to say that I love life and everything about it! I love anything girly & anything containing the color pink! I am a baker at heart and spend too much time making tasty cakes come to life with creativity. Lucky for me, I love it and I have my own business where I get to make cakes every single day... it's called AmyCakes & Cookies. I wouldn't say I'm a total fashionista, but I sure do love clothes, shoes, handbags, make up, nail polish, and every type of accessory you can think of! Working out has became a new love of mine... you can find me in the gym most week days! Oh, and I can't forget to tell you about my one true love, Mountain Dew... yep, I'm completely, & SADLY addicted... maybe one day I will get tired of it, or maybe not. Well, at the moment... EVERYTHING is going great! Love it when that happens... but for the sake of this post, I'll share one thing. My business AmyCakes & Cookies, is doing so great right now (check out my blog, or business website for more info on what exactly it is). I am booking up with orders so quickly and I already have 4 weddings booked in June!! I am so excited and so thankful to be doing something that I LOVE! Make up: Yes this may sound crazy but I don't care, must be the girly, girl in me! I can easily leave the house without my phone, my purse, etc... but NOT make up. Sorry, but I'm not one of those girls that feels it is okay to go out of the house looking like you just slept walked right out of the door! No make up faces and sweat pants should be left at home! I'm sure that some of you are probably hating me for this right now haha... sorry!! Check out my awesome "ugly" sweater I made back in 2010 for our family Christmas party... yes, it includes blinking battery pack lights and all. I even kept it to use in the future, haha! This is a hard one because I love sooo many places, Cancun, San Diego, LA, Florida, Nashville... and the list goes on! Although for this, I suppose I will pick one that is close to my heart! Anna Maria Island, Florida. My family owns condos on the island and we visit when we can throughout the year. It is seriously the cutest little beach island with the BEST shops & food! There are almost no chain stores, and definitely no chain restaurants on the island... so you really escape from reality and get the feel of a small beach-side town. I love it because when we visit we don't do anything... we just hang out at the beach/pool, get our tans on, shop, and eat out... it's perfect! -Tell me one thing you want to cross off your bucket list. -Tell me a fun quote. I believe that this is such a good thing to follow! If you do everything in love, nothing bad should come out of it! -Tell me what you notice first about a person. How they carry themselves! If they are nice, outgoing, shy, rude, reserved, etc! -Tell me something about you that will make me laugh. Hope you all enjoyed!! Thanks for reading and letting me share a little of my life with YOU! Thanks so much again for posting Amy! You did great for your first EVER guest post! Everyone please go follow Amy HERE! PS- I'm working on sending out emails to all of your for next weeks guest post! Oh, I love this!! :) How cute is she!? Def going to check out her blog now! Such a cute post! Love this idea! I commented on your original post asking for people but realized that I didn't have my email connected to my blog, so you'd have no way of contacting me! SO cute! She makes great cakes! They're beautiful! Loved this post. LOVE THIS POST!! I love cakes :) Amazing. She's adorable. wow! what a talented young woman! and GORGEOUS!! She's adorable & so are you!